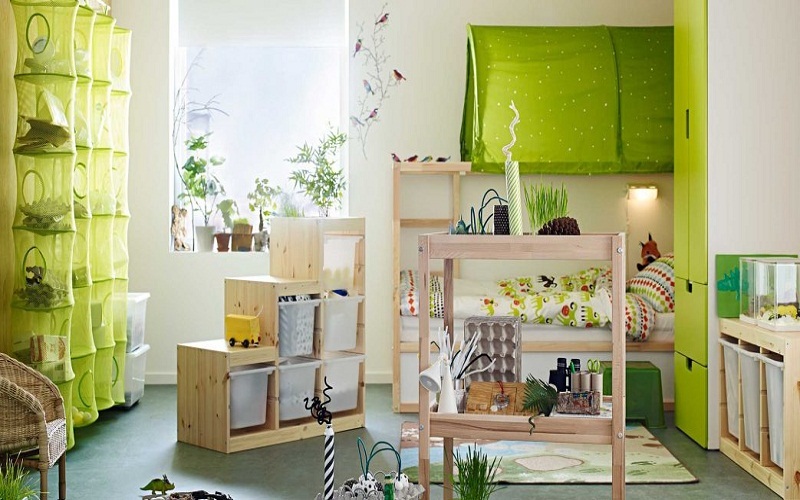 Little money-If you think your room needs a new design and you want to change some things. But do not have a big budget to do it, then I will show you some tips or tips to learn how to decorate your room with little money. Budget is not always a condition to decide when to redecorate a room. Since many times we wait for the right time to gather the necessary money. But most times having a big budget is not the solution, while it is to have great ideas. First of all, you should clean the room and order everything that is out of place. This should be the easiest way to give a better look to your bedroom. It is good to keep it neat and organized because in this way (believe it or not) there will be more positive energy and a more pleasant feeling. Coloring your bedroom is probably the cheapest way to give a new look to the rooms of your home, especially your bedroom. The first thing that has to be done is to define the perfect style for the decoration. Then the combination of colors will be chosen and what will be the principal, what will be the secondary. And If there is a third color, what will be the tertiary. If you do not know what combination of colors to choose for a particular style. I recommend you use a color palette. Also, if you want a cozy room try warm colors like reds, oranges. Or yellows, if you want something natural you should take into account the greens, browns and sand or gold. Remember that the choice of colors not only influences the painting of the walls. But also that you have to take into account the furniture and other decoration accessories. Since these must be combined with the other colors. To buy accessories such as candles and lamps you can go to garage sales or used, you can also find a piece of furniture that fits the style you want to print in the room. On the other hand, bedding and / or new cushion covers will give a new look to the decoration of your room with little money. If you want to decorate your room and have an area that is particularly attractive, then try to accentuate it with a special decoration or the placement of accessories that make it more interesting. It is a good idea to use stencils to decorate walls or decorate with flowers and give a natural environment, while you will surely get an impressive focal point. I hope these tips to decorate your room with little money will be useful. There are endless ideas to decorate rooms without spending a fortune on ornaments, accessories and expensive furniture; The only thing you really need is creativity and desire to realize your ideas. Decorating the bedroom with little money , good taste and a lot of style, can be very simple, if you have the creativity to do it. We’re not suggesting you completely remodel or buy all the new furniture and accessories, but some small changes can go a long way in revitalizing the space. Therefore, we bring you some proposals to give a renewed air to your bedroom. The old thing returns to take boom, that yes, combined with modern pieces to create atmospheres with this style. The vintage decoration is characterized by including elements that look old, among these pendulum clocks, table and floor lamps with rounded shapes, carpets of textures and various types of furniture, but with a contemporary touch. They use furniture of large dimensions, dark colors, and made of natural materials such as wood, wicker and glass. The retro style uses furniture and accessories that were recently manufactured, with a design based on the old. 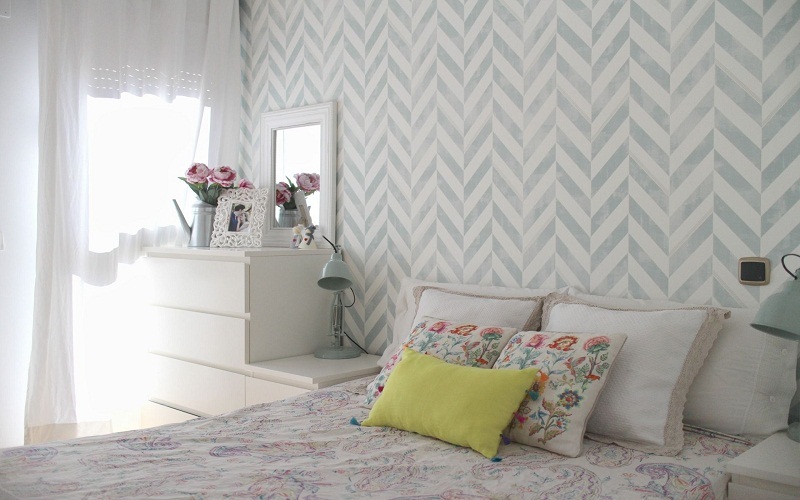 To create a vintage atmosphere you can use decorative vinyls that simulate worn walls. It is also common for this decoration to place shelves with old books as encyclopedias, as well as those that have leather pastes and that can be reused for photo albums. The old pieces such as telephones, turntables, maps or posters can be a decorative complement for the stays. In the vintage decoration also rustic furniture stand out, which give great results if combined with modern items or recycled objects, such as glass bottles turned into lamps. All furniture and other elements that are part of a vintage decoration should be handmade. Although it is not essential that it be so in its entirety, the objects manufactured by means of non-industrial techniques bring a very particular appeal to this style. Some elements that add this rustic character are the exposed beams in the ceiling, handmade carpets and candles. 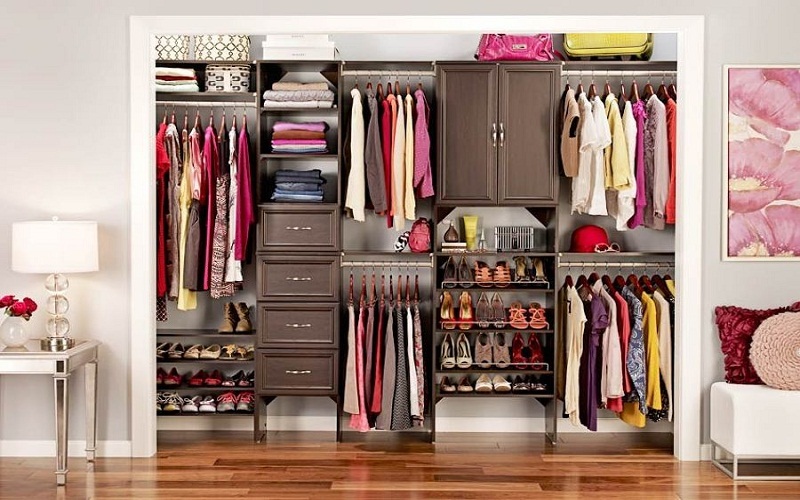 We all need that space where we can have clothes racks hang jackets, lift our shoes and leave the day behind us. Especially if we can find a way to make the space look neat and organized! The good thing about coat racks is that they are functional for this. You can see some great ideas for hangers and hangers, easy and original.